If you’re meeting friends at a tailgate party this football season, you don’t want to show up empty-handed, right? A big one: Amazon Prime. 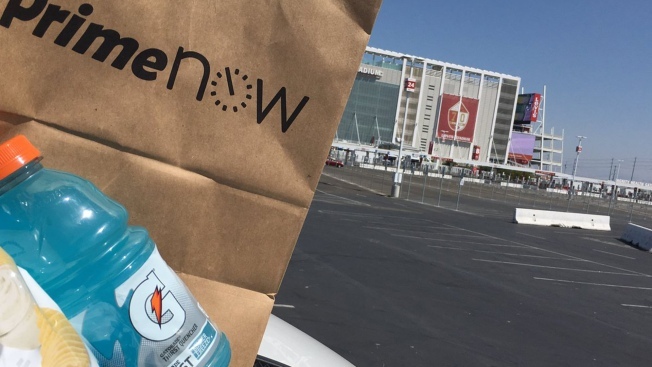 The San Francisco 49ers and Amazon are partnering to deliver food and supplies to your tailgate, starting with Monday night's game against the Los Angeles Rams. Order on the app — a $20 minimum — and Amazon, which has a distribution facility in Sunnyvale, claims it’ll get to you in an hour. It worked for me when I tried it, but in full disclosure, it wasn’t a game day. In our delivery economy, this might actually work. Take an Uber, then order from your app. Your tailgating friends will appreciate it.